How do I find out command line arguments of a running program? 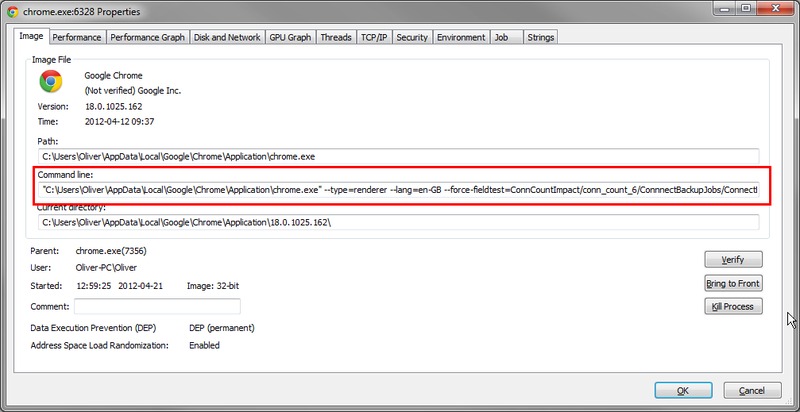 You can do that using Process Explorer. One can also achieve that by using Task Manager. 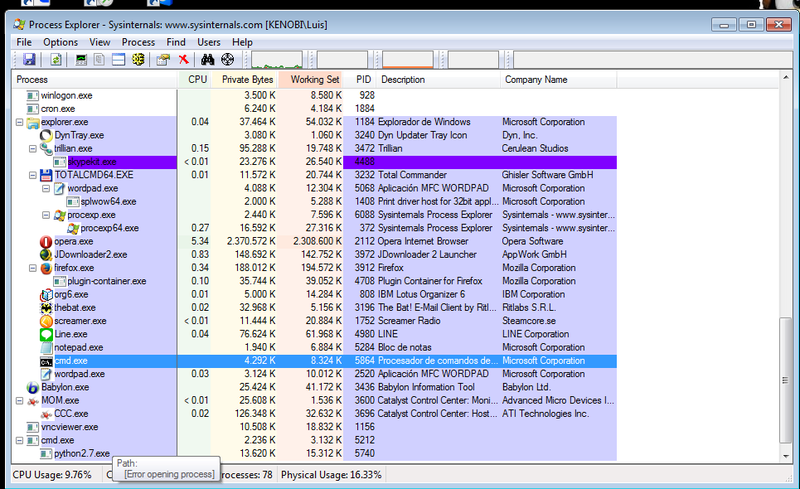 Open task manager (by CTRL-SHIFT-ESC, CTRL-ALT-DELETE or any other method). Go to "Processes" tab. The on the "View" menu, select "Select Columns...". Go to "Details" tab. Right-click on any of the columns (eg. Names, PID etc.) and select "Select columns". A column of Command lines of will be added to the currently displayed columns. Previous answers are great in case the process is already running and is not going to terminate any soon. However If you need (as I did) to do this perhaps with processses start up multiple times and/or quickly terminate, or perhaps log occurences in a longer period of time, there is a way to this using Process Monitor. Of course this way you can extract much more related information such as what is the working directory, what environment variables have been passed on the process, etc... Also it is easy to export the results into a file. It is useful to know this, as long as CygWin cohabits with no problems in Windows, and you can use it to run many POSIX and Python programs. EDIT: In Windows you don't seem to need administrator priviledges for tasklist. In CygWin you will need them to be able to view an administrator's process (what seems more logical to me: the full command-line could have some parameters like passwords inside), so we must run the CygWin Bash in elevated Administrator Mode. 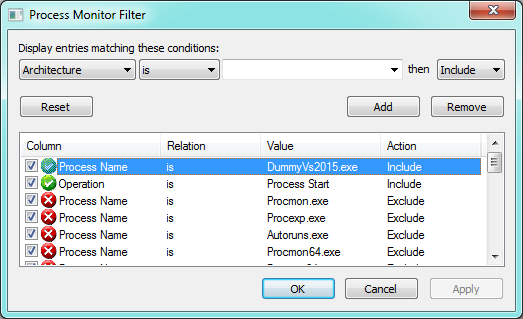 EDIT-1: This problem will not happen if you run Process Explorer as administrator. Thanks you for pointing, @Pacerier. Not the answer you're looking for? Browse other questions tagged windows-7 windows command-line-arguments or ask your own question. How to capture command line parameters for new processes? How do I see what arguments with which a running program was launched in an external cmd prompt? What VmWare VM is associated with a Process (pid) (on Windows Host)? How to I add command line arguments (parameters) for pinned applications on Windows 7? How to add command line arguments to command line arguments in Windows shortcut? How to get the command line of a running application? How would I know possible combinations of parameters an exe file ran via cmd can take?